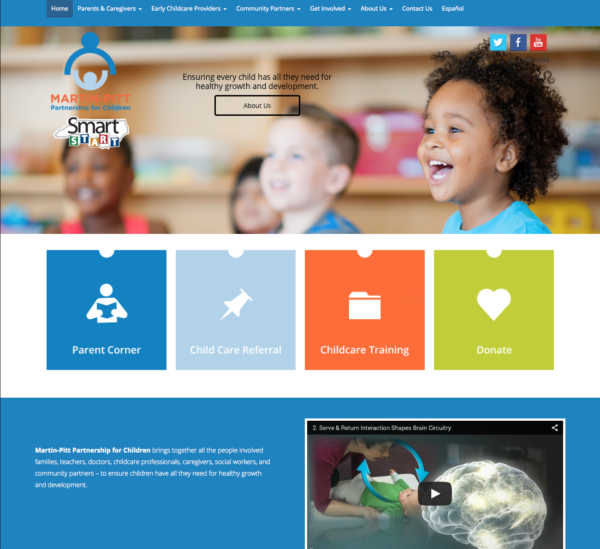 The creative team designed and developed a custom, responsive, WordPress website for Martin-Pitt Partnership for Children. The client wanted a layout that was easy-to-navigate for all types of users. 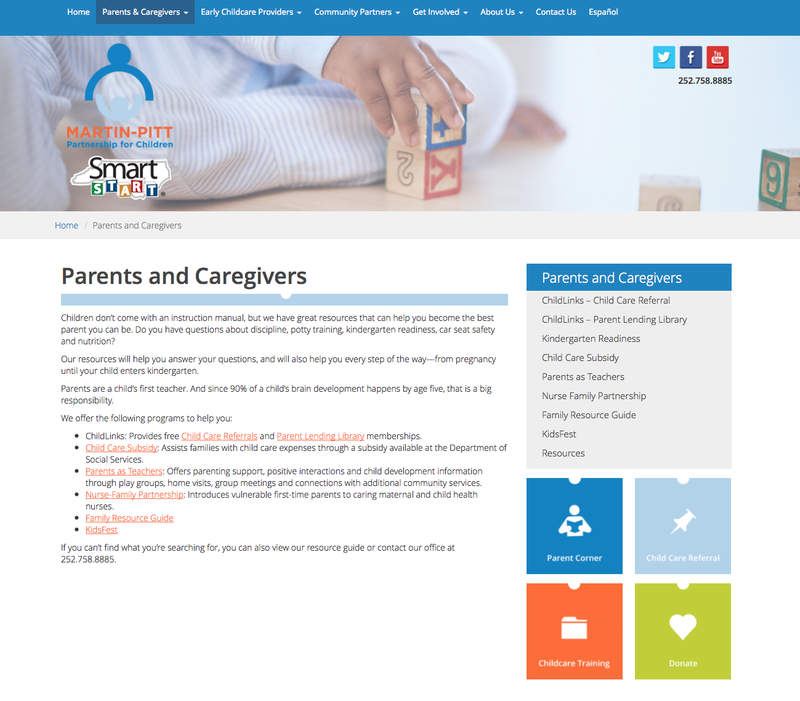 Colorful building block buttons were created to help parents, child care providers and donors find more information on the site.